After years of heaping scorn and derision on the emerging cryptocurrency sector, mainstream financial players from investment banks such as Goldman Sachs to giant asset management houses like Fidelity are finally embracing digital currencies in response to steadily rising customer demand. Despite JPMorgan CEO Jamie Dimon continuing to indulge in Bitcoin bashing — calling the cryptocurrency a scam in August — and billionaire Berkshire Hathaway CEO Warren Buffet dismissing cryptos as “speculation rather than investment” in May, mainstream investors are becoming increasingly involved in the estimated $220 billion a year cryptocurrency market — albeit on the quiet. This market transformation has been warmly welcomed by digital currencies such as the Aziza Coin as it helps create a vibrant secondary market on which digital assets can be freely traded by both retail and institutional buyers and sellers. Bloomberg reported in October that institutional investors such as hedge funds have now overtaken high net worth individuals as the biggest buyers of large blocks of digital coins in excess of $100,000 through private transactions, citing Bobby Cho, the global head of trading at Cumberland — the Chicago-based trading unit of the DWR Group — which handles such over the-counter-purchases. Increased institutional activity in the crypto space is being heralded by crypto enthusiasts as signalling the end of the ‘Wild West’ days of the crypto industry, and the beginning of the professionalisation of the sector. Prices for cryptocurrencies such as Bitcoin surged to an all-time high of nearly $20,000 during 2017 before collapsing at the end of the year and falling to around $7,000 at present. While such roller coaster rides put off many institutional investors, the reduced volatility of cryptos in 2018 has made them more attractive. Rising institutional investor interest in the over-the-counter (OTC) market facilitated anywhere from $250 million to $30 billion in trades per day earlier this year. Rising institutional investor interest in the over-the-counter (OTC) market, which facilitated anywhere from $250 million to $30 billion in trades per day earlier this year — according to research by Digital Asset Research and capital market researchers TABB Group — is widely being seen as evidence that cryptos are finally becoming more mainstream. Coin exchanges have recently been handling cryptocurrency trades valued in excess of $15 billion a day, according to digital coin tracker CoinMarketCap.com. Confirming the trend of rising institutional investor demand Jeremy Allaire, CEO of Boston-based Circle Internet Financial a peer-to-peer payments company, said: “We’ve seen triple-digit growth in our OTC business. That’s a big growth area,” he added — much of which is accounted for by institutional purchasers. Earlier this month, Fidelity Investments, the US-based asset manager with $7.2 trillion in assets under management, announced plans to launch a new stand-alone company — Fidelity Digital Asset Services — that will be responsible for cryptocurrency custody and trade execution services for institutional investors. 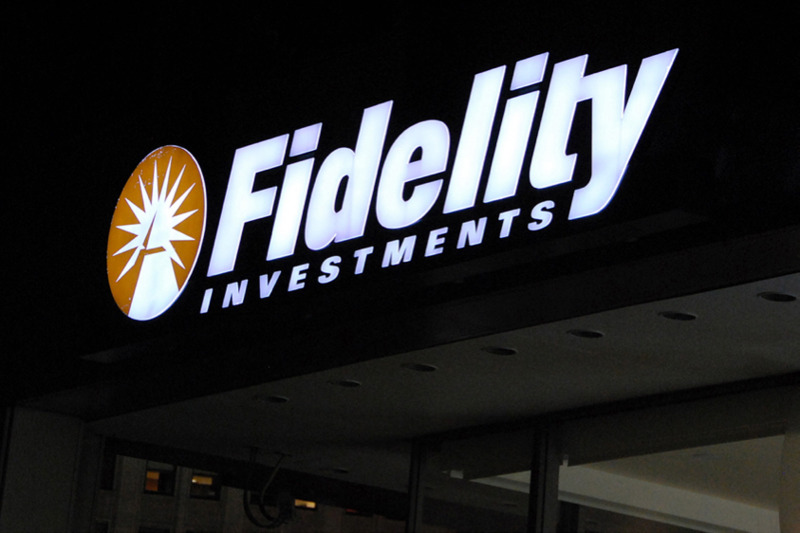 Fidelity, the world’s fourth largest asset manager which reported revenues of $18.2 billion last year, will now offer cryptocurrency custody services — the safe storage of customers’ digital assets — joining the ranks of companies such as Coinbase, Gemini (run by the Winklevoss twins), BitGo, Ledger and ItBit, which are also working on similar offerings. Japanese bank Nomura, unveiled plans in May to offer crypto custody services to institutional and retail clients, while Goldman Sachs and Northern Trust, the Chicago-based provider of financial services to corporations, institutional investors and high net worth individuals, are considering doing likewise. Boston-based Fidelity Digital Assets will also be using its mainstream trading and technological know-how to match cryptocurrency buy and sell orders to facilitate greatly increased cryptocurrency trading — initially for institutional investors and eventually for retail investors as well. “Institutional investors such as hedge funds, endowments and family offices may be using the backdoor to tap the crypto sector, but the more prevalent such practises become, the greater the pressure will be to become transparent about their crypto holdings, thereby helping to boost the credentials of crypto assets generally. And for those in the security token space, this is particularly encouraging,” says Robert Pyke, Aziza Project CEO. Over the past year, the profile of initial coin offering (ICO) investors has undergone a major transformation. Back then, retail investors accounted for 80% of all ICO investors, with the remaining 20% made up of institutional investors. Today, that picture has been totally inverted with institutional investors account for 80% of all ICO investors, and retail investors account for the remaining 20%. Not only does this transformation provide further evidence of the professionalisation of the crypto space, it also helps to create a robust secondary market where digital currencies such as the Aziza Coin — the fund-raising platform being used by Africa New Energies (ANE) to raise $45 million to fund a ten-well drilling programme on its concession in Namibia — can be freely traded. CMO of the Aziza Project, an asset backed security token that will light up Africa. Aziza Project’s token, Aziza Coin, is a unique asset backed crypto navigating the emergence of security tokens. W e also own 20% of a high potential energy co valued at $500m.